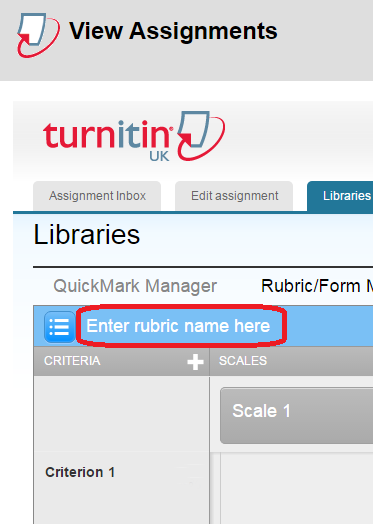 This guide explains how to create a custom rubric. 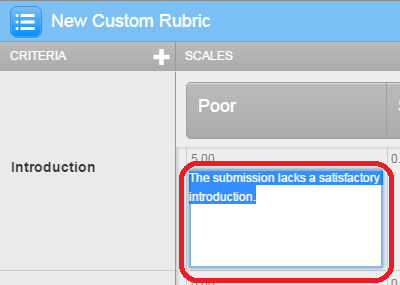 A custom rubric allows you to provide feedback to a student based on a number of criteria and scales, awarding pre-determined points for each individual criteria/scale element. 4. 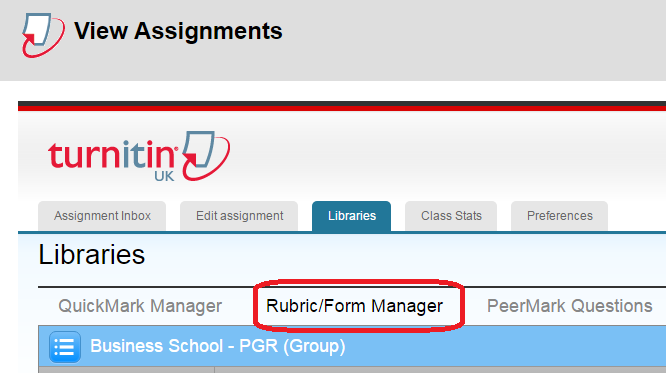 Click on the ‘Rubric Form / Manager’ link. 6. 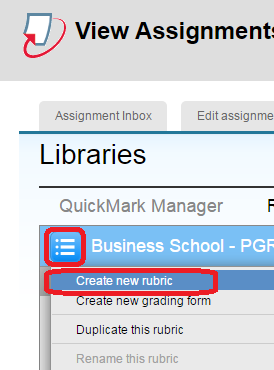 Scroll to the bottom of the blank rubric and select the ‘pen and paper’ icon. 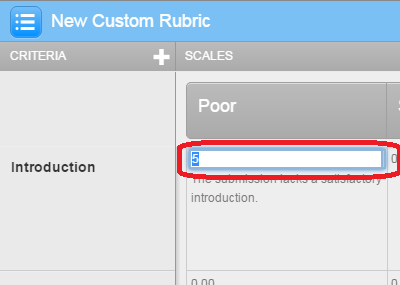 This setting dictates that you wish to create a custom rubric, where you can award pre-determined scores for each element of the rubric. 10. Edit your scale titles by clicking on ‘Scale 1’ and typing the title for your first scale item. Repeat this until you have all the scale items you require. 13. 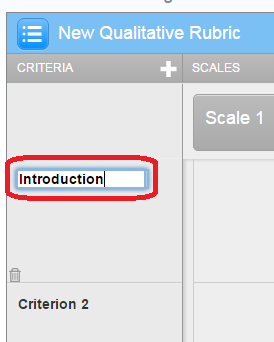 Once you have added your descriptor, click on the number above it to dictate how many points you want to award for this element of the rubric. 13. 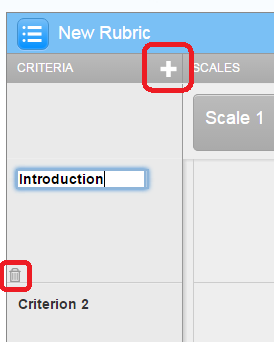 Once you have entered all of your criteria, scale items, descriptors, and scores, scroll to the bottom of the rubric and click on ‘Save’.